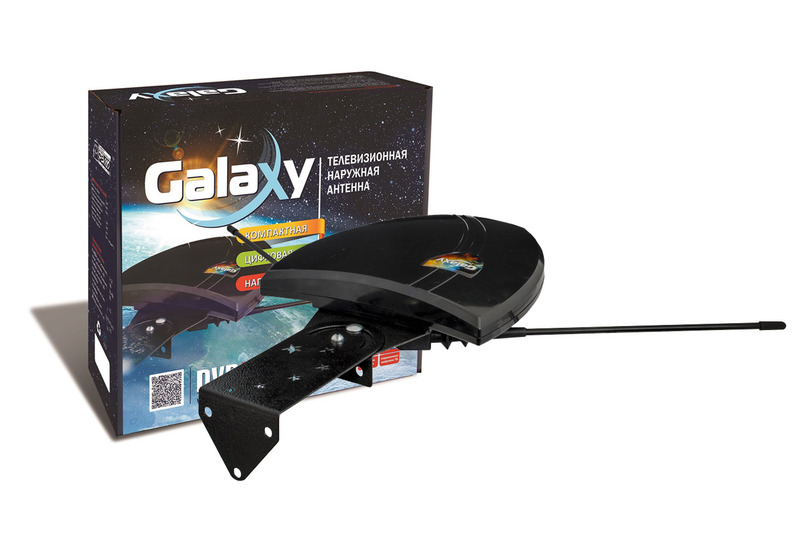 The GALAXY is a specially designed directional broadband television antenna for television reception in city and suburban areas. 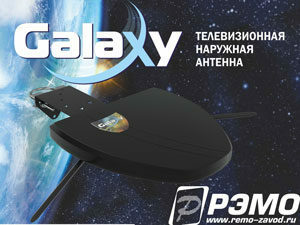 It measures 250х240х80 mm and features a stylish shape that is easily mounted on the included bracket. 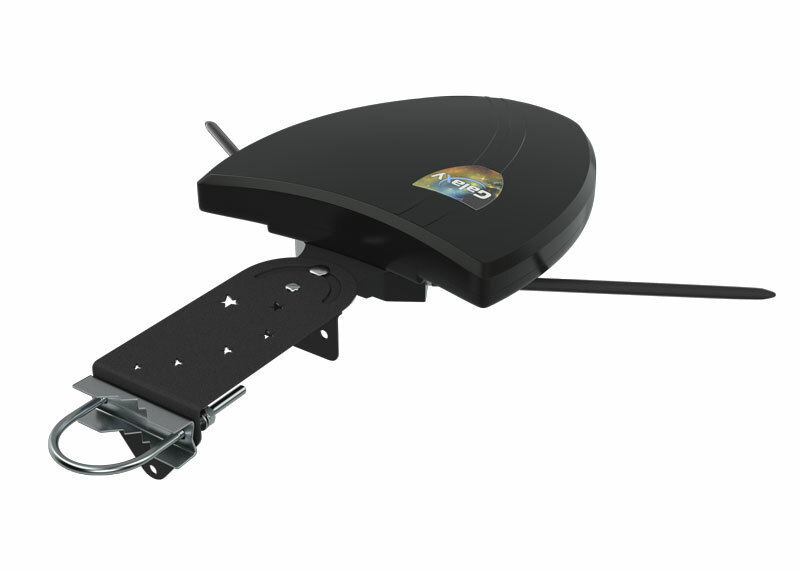 The antenna is aluminum and its case is made of a special durable plastic that will withstand outdoor weather conditions. 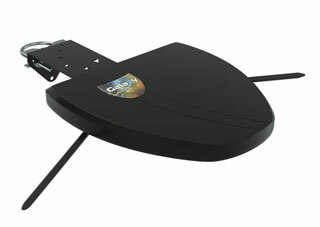 Cable included.